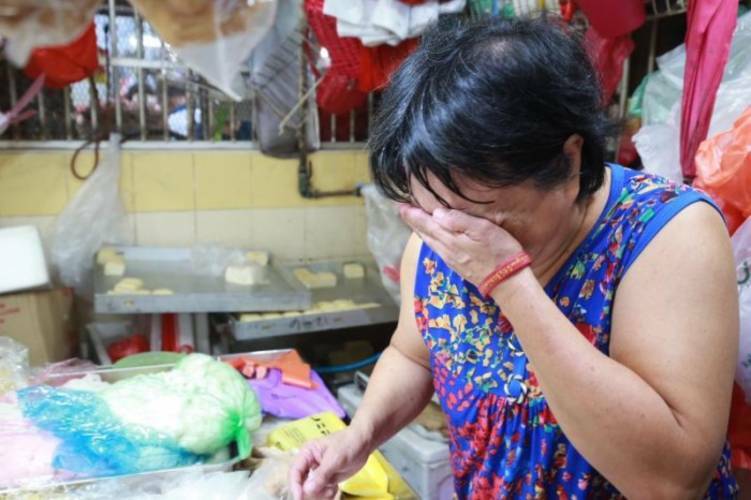 A man assaulted a fellow tofu seller at 21 Marsiling Lane Market Centre and continued attacking her even after she had fallen onto the ground. According to Lianhe Wanbao, the incident occurred on November 4 last year, at around 2pm. Liu Weihao, 35, was sentenced to one week in jail on Monday (Oct 1) after pleading guilty to one count of voluntarily causing hurt to Wu Baolian, 59. Liu's father owns three adjacent stalls in the market, next to Wu's stall which is separated by a walkway. According to court documents, Wu had been working at her own stall while the accused was drinking with friends in the market prior to the incident. It is unclear why or how the two got into an argument. During the dispute, Liu rushed towards Wu and hit her on the back of the head once, before hitting her hand three times. This caused Wu to drop the items she had been holding onto the ground. Liu then pushed Wu onto the floor. Before she could stand up, Liu punched her in the face and left the scene. Wu lay on the floor for 15 minutes before she struggled to get up. After picking up her items, she called her husband on the phone and he informed the police. Wu went to Khoo Teck Puat Hospital, where she complained of pains on her chest, shoulders, and at the back of her head, in addition to experiencing limited mobility. She was given four days of medical leave. During Liu's sentencing, the judge pointed out that the accused had assaulted a woman older than him and continued to attack her even after she had fallen onto the ground. The judge also called Liu's actions despicable and cowardly, reported Wanbao.